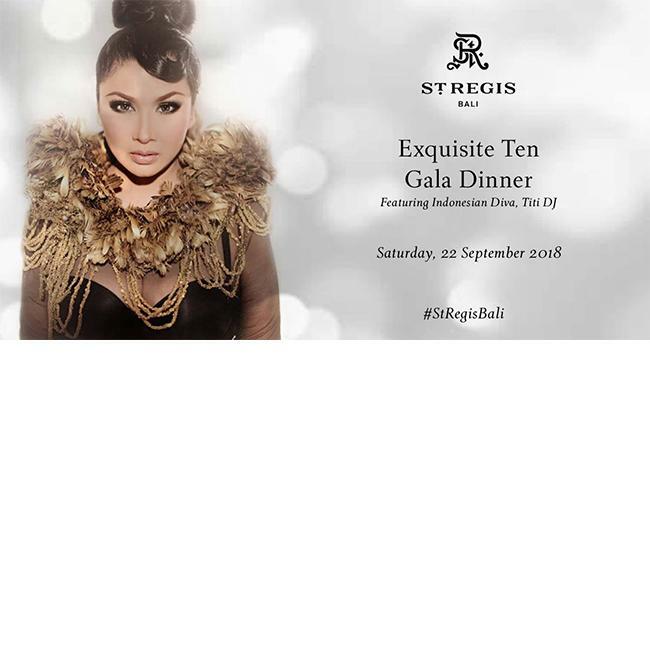 You are cordially invited to an exquisite charity evening in celebration of The St. Regis Bali Resort's ten years of service excellence. Join us for a welcome cocktail inspired by the gilded era and an exceptional five-course dinner crafted by The St. Regis' talented chefs accompanied by a world champion mixologist. Be entertained by legendary Indonesian diva, Titi DJ. *All proceeds from auction and raffles go to Habitat for Humanity to rebuild Lombok.